SHOOTI RIDES OUT ON A NEW SPACE ADVENTURE! There is a great rainbow wacky world out there in the universe, and Shooti—our spaceship-shaped friend— must travel through it to finally come back home! In a psychedelic starway filled with aliens, treasures, heroes and fluffy friends, our hero will valiantly clash, jump and roll, with the choice to either avoid danger or bring on justice by laser gun. 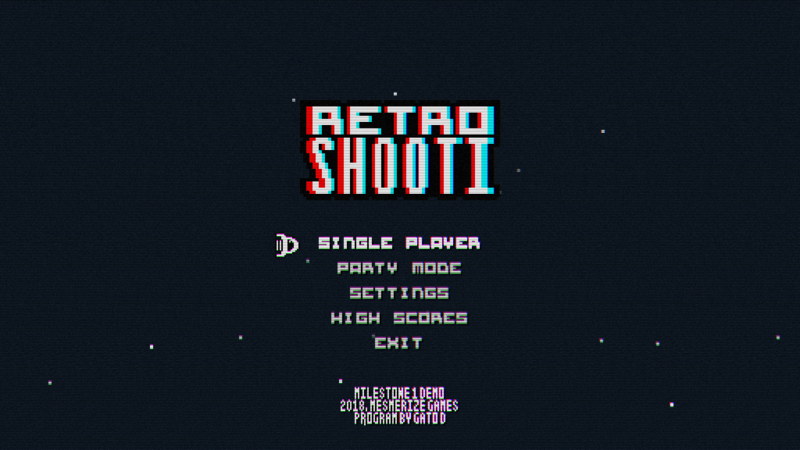 Will you help Shooti survive in this crazy scrolling highway of oncoming traffic, space debris and technicolor lunacy? We wish you the best luck on your voyage thru the stars! 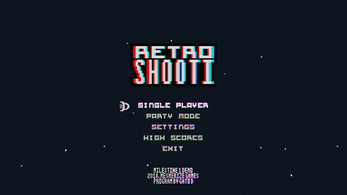 Mesmerize Games proudly presents RetroShooti, a space shoot'em up by MarsCat, featuring an original chiptune soundtrack by her chiptune project Lucca! Take a trigger-happy space trip across +15 levels and face against +4 bosses on your journey, or play together with friends in the many co-operative and competitive party modes! Supports Xbox 360 controllers and other XInput-compatible input devices. Available for Windows, Linux and modern desktop internet browsers! Unpack on its own folder and double-click the included executable. Unpack on its own folder and run the included script. On Debian based systems such as Ubuntu and Mint, run the following command on a terminal to install all the required packages. It'll prompt you for your password. Press enter and your package manager should start the process of getting and installing them.